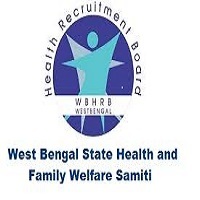 WBSHFWS Jobs Recruitment Notification 2018.West Bengal State Health & Family Welfare Samiti WBSHFWS inviting applications for the positions of District Epidemiologist.Interested and Eligible candidates can apply for the positions. 2. Desirable Experience: Minimum 3-4 years experience in Health Management/Public Health Programme/Health Services after obtaining essential qualification. 1. Photo proof identity card (Passport or Voter ID Card or AADHAAR Card or Pan Card). 5. Registration Certificate of the MCI or WBMC. 6. A Bio-data of the applicant. 7. An application in white paper seeking the job.